Expansion into the medical cannabis industry means Zenabis could increase its workforce by more than 2,000 employees this year. Some of those new jobs will be in New Brunswick. Users of medical marijuana products made by licensed producer Zenabis products will soon have another purchasing option. As part of its growth strategy, Zenabis will supply Shoppers Drug Mart with dried cannabis buds and eventually cannabis oil and other products to sell online. Current pharmaceutical regulations prohibit pharmacies from selling medical cannabis in brick and mortar stores, but Zenabis chief revenue officer David Lluncor said the trust medical marijuana customers have in pharmacies means there will be plenty of demand for Shoppers' online offerings. "From a medical perspective versus a recreational perspective I think medical customers are going to go to what they know and what they trust," Lluncor said. 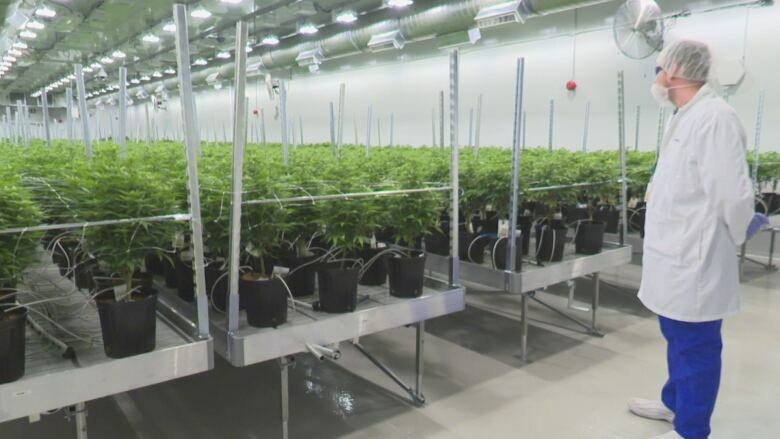 Lluncor said both companies expect to be able to start selling within a month, but are still waiting to hear about an inspection date before Zenabis will be able to supply Shoppers with its products. In the meantime, Lluncor said the companies will work on defining how much Zenabis product Shoppers will sell. "[It] will be based off of what we currently have in the pipeline … and we'll build a formula that makes sense for both parties," said Lluncor. Lluncor expects production to ramp up over the course of this year, but said the company will never over-commit. The expansion will also require Zenabis to expand its current workforce of 400 to 2,500. CEO Andrew Grieve says 400 of those jobs will be in its New Brunswick facility in Atholville, echoing previous promises for job growth in the community. "There will be a mix of entry level jobs as well as jobs for people with a very high level of education," Grieve said. The expectation of new Health Canada regulations allowing value-added products like edibles and infused beverages means the company is looking to develop its product line. "Our intentions are that as the rules change, edibles and beverages, solids, [and] concentrates … will be sold in the Shoppers Drug Mart online medical platform, once we're allowed to do so," said Lluncor. Zennabis is currently waiting for its licence to sell cannabis oil, but Grieve expects to have it in the "very near future."